Home > Laptops > Dell Laptop Computers > Dell Latitude 5580 15.6"
Dell Latitude 5580 15.6” Laptops are the ideal feature rich, versatile, and affordable mobile business laptop solution for Small to Medium Size Business (SMBs)! Highly customizable and scalable the Dell Latitude 5580 leverages the scalable performance of Intel Core i5 and i7 7th Generations processors, DDR4 PC4-2400 Memory up to 32GB, and storage options for either ultra fast solid state drives or high capacity SATA drive. This powerful and scalable laptop is also highly secure! The Latitude 5580 Laptop’s feature rich design offers some of the best in security and management features from Dell. Enjoy features such as Dell Data Protection to ensure your data is safe across all endpoints, the Dell Command Suite for easier deployment and management, multi-factor authentication, and Dell ControlVault for a secure alternative for storing and processing passwords! 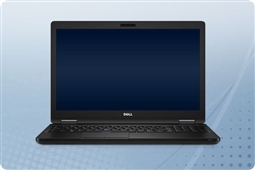 It is no surprise with features this robust and a low total cost to buy why so many SMB and Enterprise class IT Professionals depend on the Dell Latitude 5580 for their end users on the move! Aventis Systems is proud to deliver all of our Dell Latitude 5580 Laptops with a 1 Year standard Essentials parts replacement warranty. Additional upgrades to Express NBD parts replacement, Secure Drive hard drive retention, and Extended 2 Year Term warranties are also available if additional coverage is needed. So shop our options below and customize your robust, scalable, and affordable Dell Latitude 5580 15.6” Laptop today!